I have been a big fan of Pacifica fragrances for a long time. Indian Coconut Nectar is my favorite scent and so I always carry the little fragrance tin in my purse for quick touch ups. So recently shopping at Target I became pleasantly surprised to discover the Pacifica line in the beauty section. 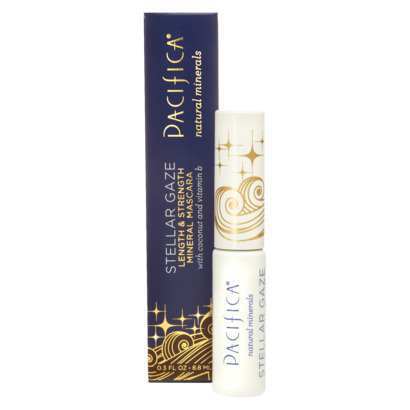 The hunt for the perfect Mascara is always on my mind, so I had to purchase Pacifica Stellar Gaze in Black Supernova. It makes my lashes full and long and conditions them, and is Paraben free; all in all a good purchase. I have since noticed online there is a waterproof version of the Mascara called Aquarian Gaze that is available only online which I would like to try so Target if you are listening please put it in your stores. 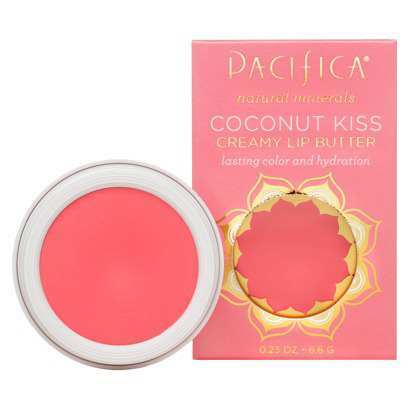 I couldn’t pass up the Coconut Kiss Creamy Lip Butter. Free from Paraben’s, Phthalate’s and Petroleum, the scent is divine and the colors are subtle. Phthalate’s are a family of chemicals that have been used for decades to make plastic more pliable and cosmetics smoother in case you were wondering. 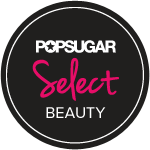 I purchased the Light Pink and since the color is subtle I use it when I use little makeup on the weekends or am working around the house. 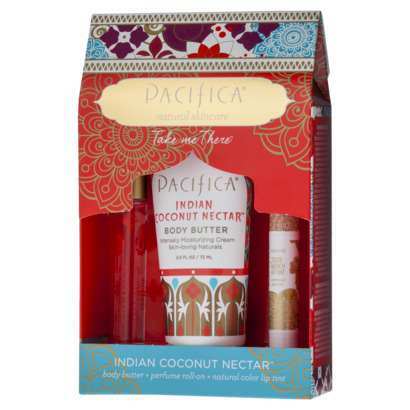 I also had to add the Indian Coconut Nectar “Take Me There” set to my shopping cart. Well it is my favorite scent and the kit contains a roll-on perfume, full-sized Color Quench Lip Tint and a mini body butter. All sizes are TSA friendly so they can go on all of my travels, and there is nothing better than refreshing yourself with a friendly scent after being on a long flight. There is much more to the Pacifica line including: Mineral BB Cream, an Ultra CC Cream (with SPF 17), Mineral Lip Tints, Eye Shadow and more. And if you are wondering what is the difference between a BB, CC and DD Cream check out my past post to find out what formula is perfect for your skin.